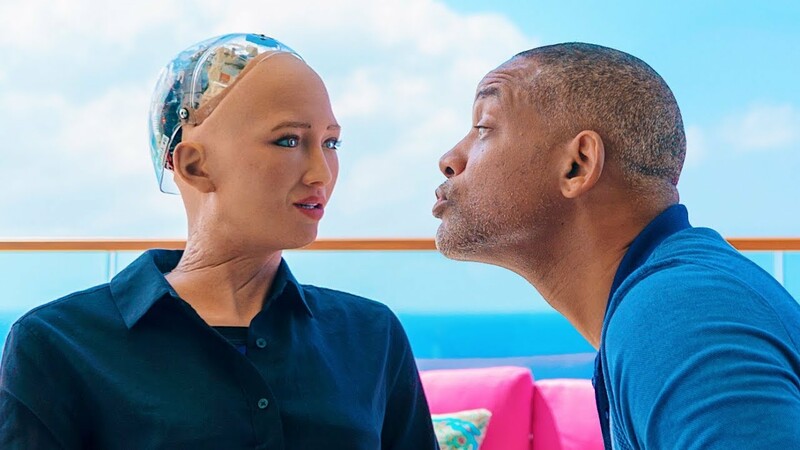 Sophia is an advanced social robot in her second year of development by Hanson Robotics. In this video, she's on a date in the Cayman Islands with actor Will Smith. He turns on the charm, goes in for a kiss but is immediately, awkwardly friendzoned by her. P.S. You can follow Sophia on Instagram! I just did.